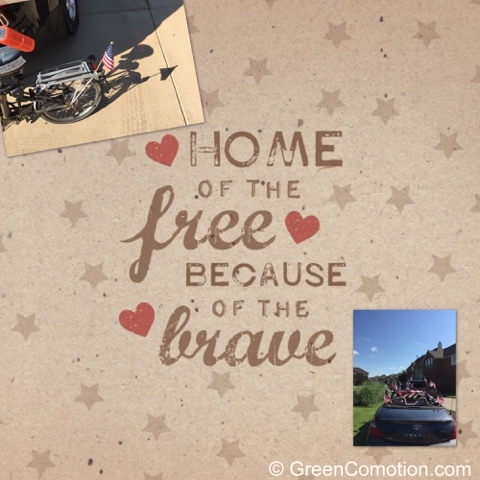 I just came back from the neighborhood Independence Day Parade. Small group of people, but friendly and supportive of their neighbors. Hooray- that's the way to be. I will leave you with one of my favorite pieces by Hendrix. Enjoy the celebrations, greetings and best wishes! I am glad you had a good day...We didn't do much yesterday, but did have a cookout at our daughter's house on Sunday...it was a good day for everyone to come. In Ocean Shores, the beach sounded a lot like the battle for Mosul last night! A good time for neighbors to come together . A Quiet neighborhood parade seems perfect. What is in your parking lot?